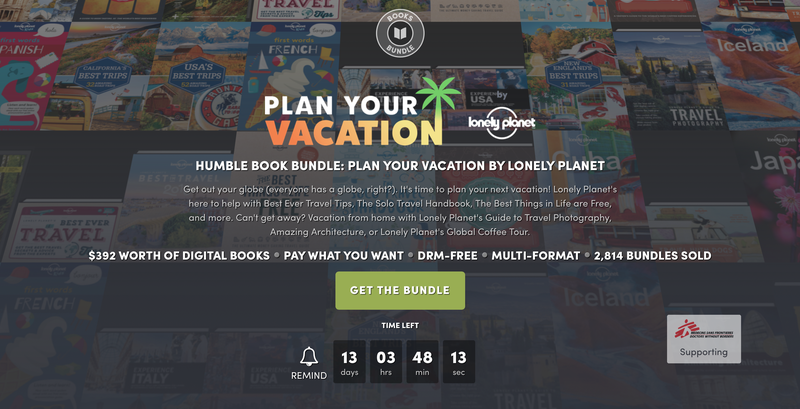 Whether you’re actively planning a trip, or just like reading travel books for the escapism, you’ll want to check out Humble’s collaboration with Lonely Planet. You can pay what you want for up to 20 DRM-free travel ebooks, including guides to specific locations, and books focusing on specific topics like beer tourism, or learning languages. Just note that you’ll have to pay at least $15 to get all of the books, but you can get a few of them by contributing just $1.